Dr. Guy Robins has been practicing in Johnson City since 1996. A graduate of Puget Sound Christian College in Seattle, Washington, Dr. Robins received a Master of Divinity from Emmanuel Christian Seminary in Johnson City before attending medical school at the University of Arizona. He completed his residency training in Family Medicine at Army hospitals in both California and Georgia. Dr. Robins served active duty in the U.S. Army as a Major in the Medical Corps. 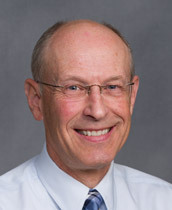 This board certified physician, since 1993, is a member of the American Academy of Family Physicians and Christian Medical Association as well as others. Dr. Robins and his wife, a pediatric nurse, have four adult children. While outdoor activities such as running, skiing, and hiking are among his hobbies of interest, spending time with family, staying active in his church as an elder and participating in medical missions are some of his favorite activities.